We tend to think of leaders as people who are focused on serving others, dedicated to the mission of the work they do, and committed to their people. Unfortunately—as in every field—some people in leadership positions are threatened by those they lead, especially those who embody the qualities they lack as a leader. Constantly shutting you down. Your boss shuts down every great idea you bring up and disagrees with your creative solutions without any reason. Stealing your ideas. When you have a great idea at work and your boss doesn’t stomp on it, they find a way to stall you long enough to steal it and claim it as their own. Restricts your access to high-level people in other departments. Your boss tells you to funnel all communications through him or her rather than going directly to anyone outside your department. Fearful bosses tend to be very controlling. Finding fault in everything you do. You get positive feedback from everyone else, but you’re constantly under your boss’s skin. Failing to respond. Your boss regularly cancels your meetings, forgets to return your calls and emails, and generally doesn’t seem to have you anywhere on their priority list. Micromanaging you. Your boss keeps dictating process details and checking up on your work. Ignoring you. You’re shut out of decision making and don’t have access to strategy sessions. Giving you low-level assignments. Your manager takes away your highest-impact and highest-visibility projects and leaves you with low-priority busy work. Leaders are only human and they, too, can be afraid and feel threatened by others. It’s not a good thing but it is sometimes an unfortunate reality. Don’t make it into anything bigger than it is—do your job and do it well, and let your talent speak for itself. At the same time, keep good documentation in case you ever have to report mismanagement or defend yourself, and consider moving to a different workplace where your talents and skills will be appreciated. Lead from within: Insecure leaders show their fears in the way they treat others. 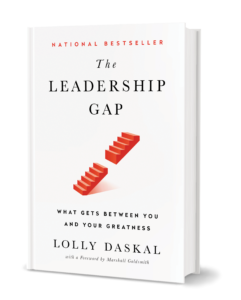 The post How Can You Tell If Your Leader Is Afraid Of You appeared first on Lolly Daskal.